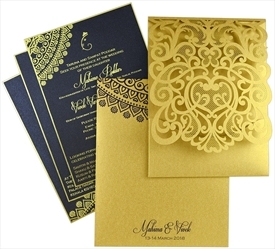 Intricate Jali laser cut adorns the front of the main card. 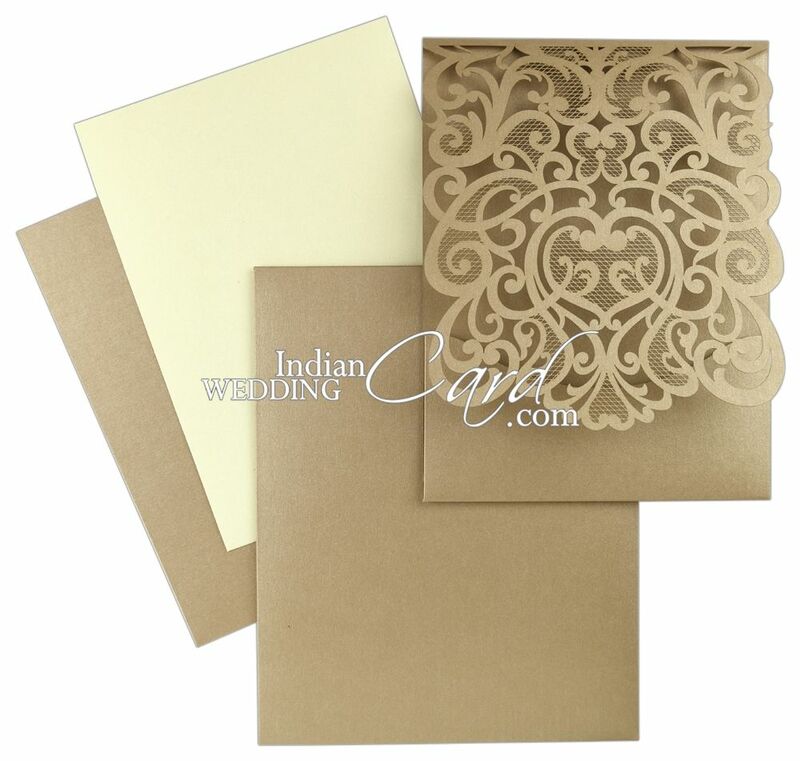 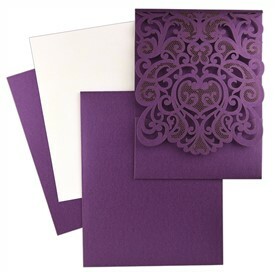 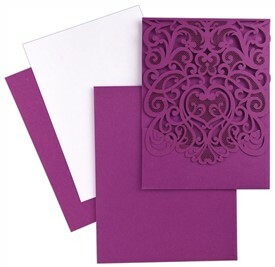 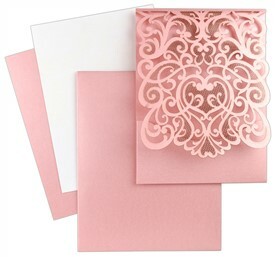 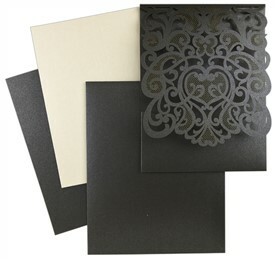 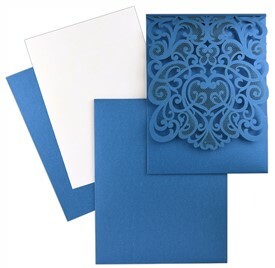 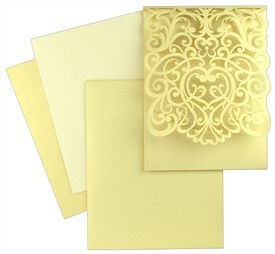 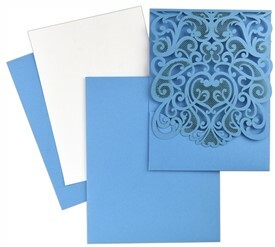 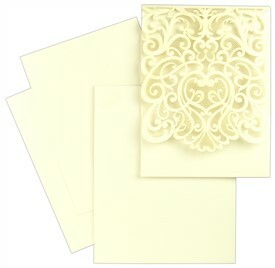 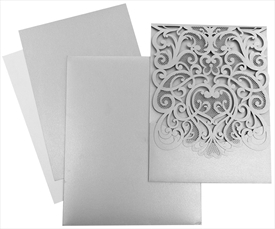 Inserts are beautified with foil motifs border and design. 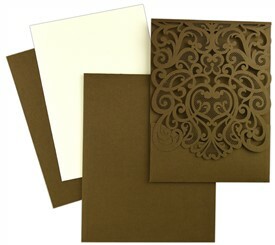 The envelope also decorative motif border. 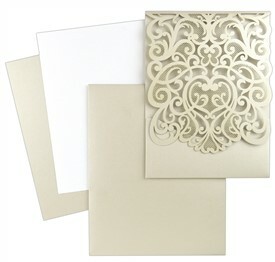 Another High-end invitation! 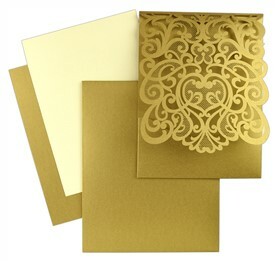 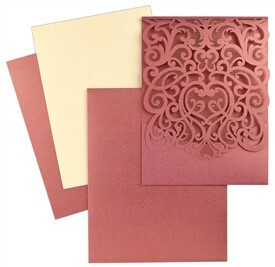 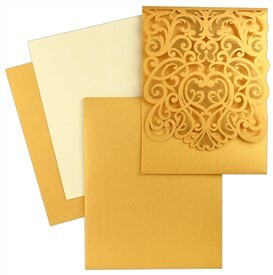 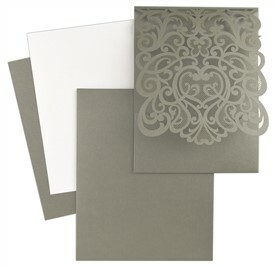 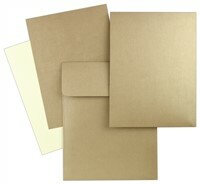 Light-brown Shimmer paper (250 gsm) for main card, 1 insert and envelope. 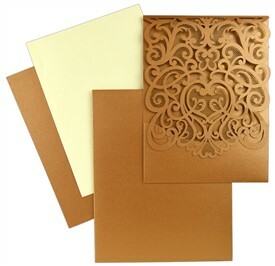 2nd insert of cream shimmer paper (250 gsm).